This unique desk has gained admiring glances for it's undulating shape. Plenty of intrigue was provided by the assortment of Filipino indigenous laminated materials in their rich natural finishes. Also available as a wall art. The Quarrie tables are a great example of organic and industrial coming together. 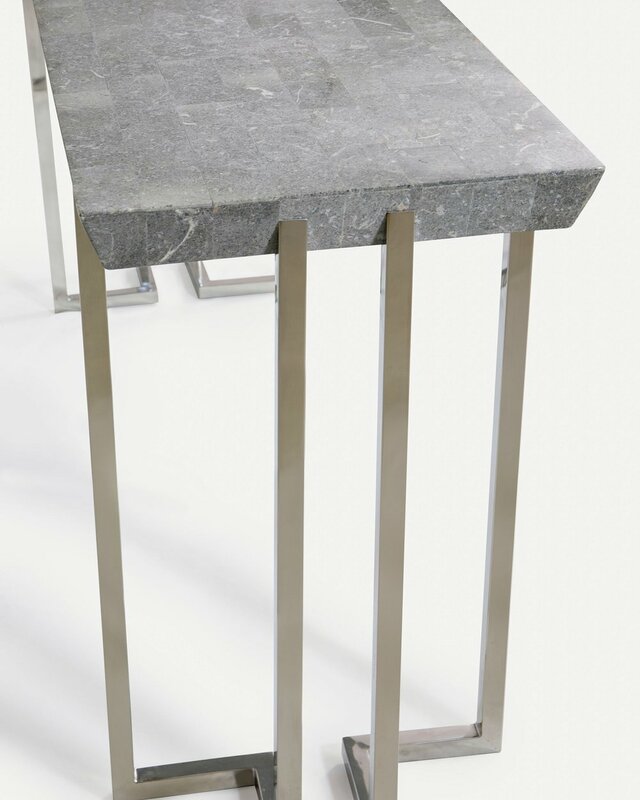 The stainless steel legs are angular and polished, but it is balanced out with the raw look of the stone top. This collection debuts our Green Wax Stone material. The Ercole collection is an elegant display of material and workmanship. Its angles and cuts are clean and precise, that any space it will be placed in becomes vivid and refined. Also available as a coffee table and side table. Embellish your home and transform it into a sylvan sanctuary with this interesting collection. Indian turnsole is hand-twisted and laminated over metal. The collection includes a center table, end table, an occasional (slot-in) table and dining table and is available in two colors - Natural and Old Gold. The Venus tables are one of the many new collections we are debuting this year that uses the Fossilized Clam Stone. This unique and elegant stone can be manipulated to create patterns such as the blooming pattern on these tables. Like a cluster of trees in the forest, this table collection is crafted with our pioneering material - tree vines called wild liana, and finished natural. It has a rough elegance that adds to its appeal. 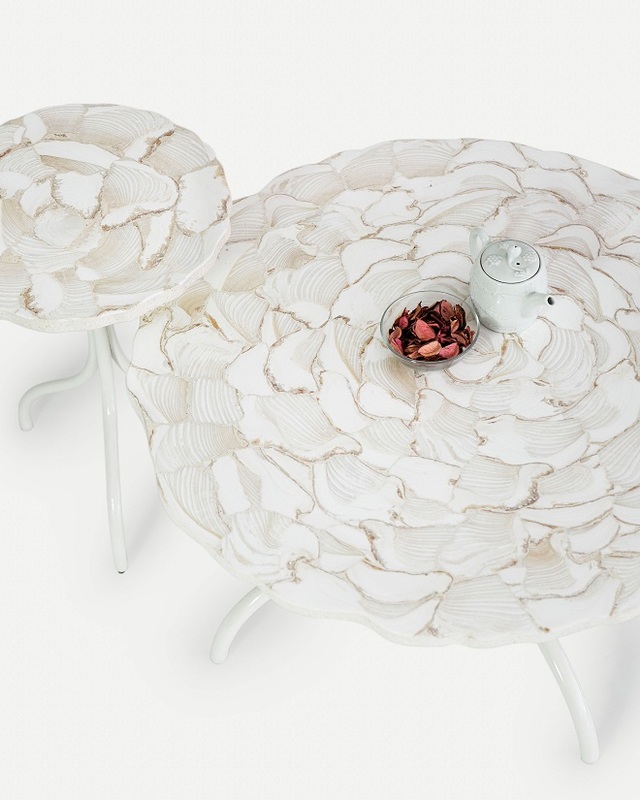 This table is made of inlaid sections of fossilized giant shells. These pre-historic wonders are found high up in the Cebu mountains suggesting that millions of years ago, this land was below sea level. The table comes with uniquely-shaped, hand-bent stainless steel legs. This open-back chair is an interesting geometric creation constructed in a light yet sturdy metal tube frame. With a perfectly- pitched cantilevered back and plump seat cushions, this chair is surprisingly very comfortable. Can be finished in either Alpine White, Walnut, Black Oak or Birch. Fan corals or sea whips abound in the tropical ocean depths. Veined patterns create a leafy and floral look. 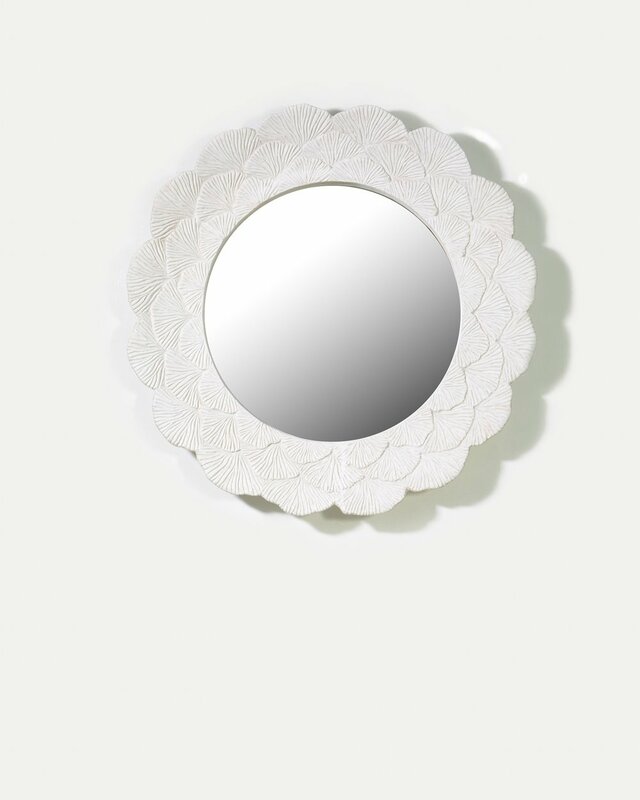 The Fan Coral mirror is a new addition to the collection of Vases and Bowls. Just as we are, earth is a living being in its entirety. The earth moves and it is constantly getting bigger and smaller at the same time. 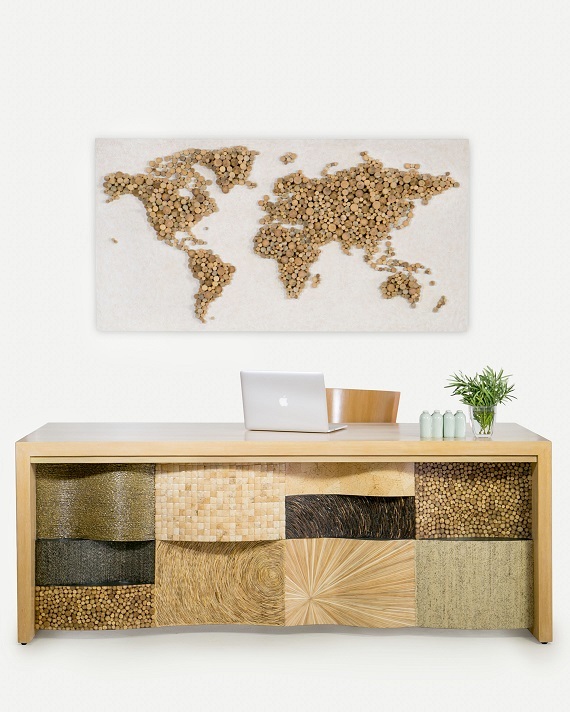 The Terra wall art is our world map and each level represents that growth and evolution.